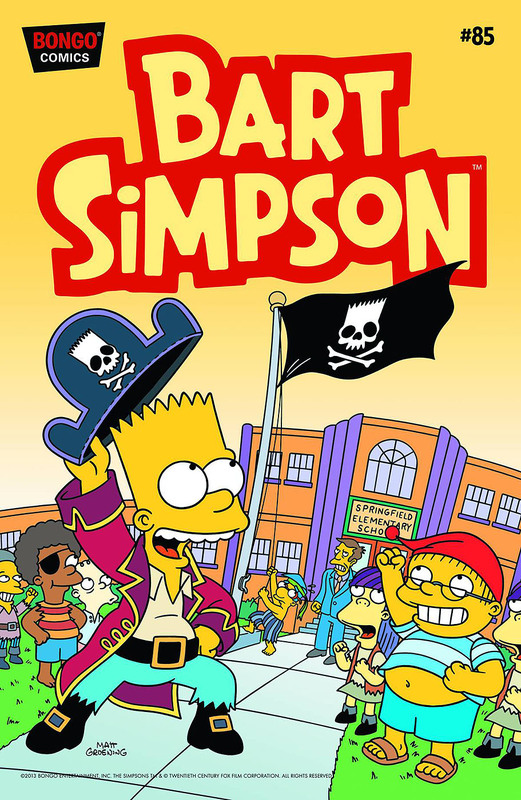 Bart Simpson #85 is the eighty-fifth issue of Bart Simpson Comics. It was released on July 24, 2013. ""Exit Through the Comic Shop." Critics herald El Barto as the breakout artist of his generation -- but when someone steps forward to take the credit, the real El Barto has something to "spray" about it. Then Maggie leads a crew of marauding buccaneers on a merry chase on the high seas, and the last beer in the house keeps slipping away from Angry Dad."